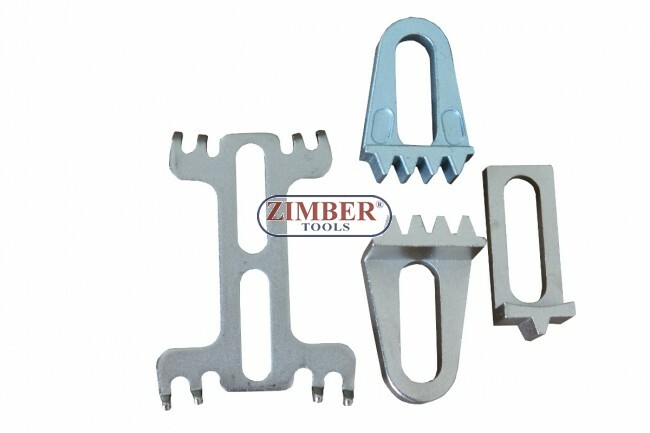 К-т за зацепване на двигатели - ZIMBER TOOLS. 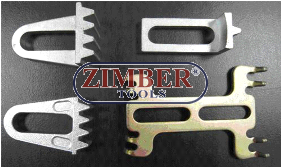 Flywheel Holding Timing Tool for Renault, Peugeot, Citroen, Fiat, Vauxhall, Opel-ZR-36ETTS118- ZIMBER-TOOLS. 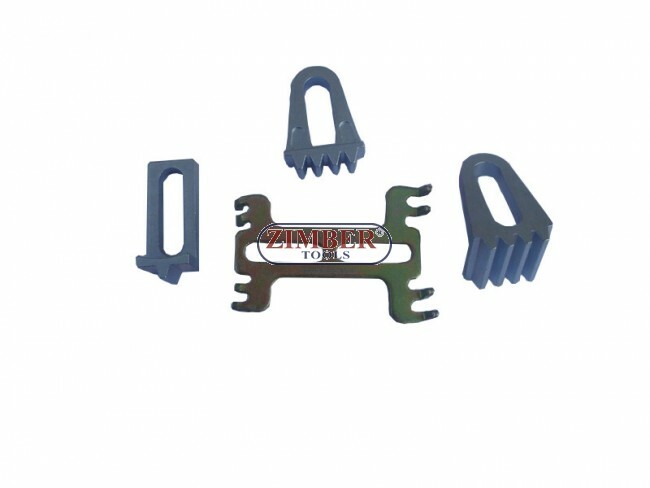 I – Flywheel Locking Tool for Fiat Ulysse 1.8/2.0/ Turbo, Ducato 2.0. Engine: LFW, RFU, RGX, RFW. J – Flywheel Locking Tool for Renault Clio,Twingo, Kangoo, D7F, Megane/Scenic, Laguna, Express/Extra. Engine: K7M, K4J, K4M, F4P, F4K F8Q, F9Q. G - Flywheel Locking Tool for Peugeot/Citroen 1.8/2.0 16v, 1.9/2.1 HDi. F – Flywheel Locking Tool for Vauxhall/Opel Astra-F 1.7 D/TD, Astravan 1.7 D/TD, Cavalier 1.7 D, Vectra-A 1.7D.